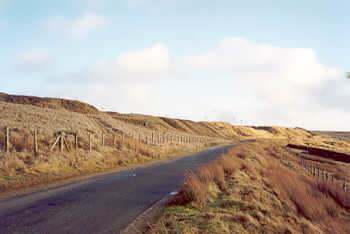 Ovenden Moor lies just above Denholme to the west of the A629 between Halifax and Keighley, in West Yorkshire's Bronte Country . 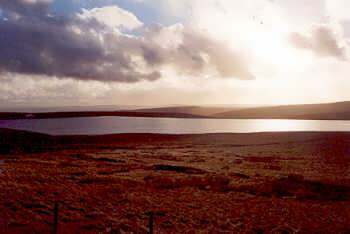 This is the site of the Ovenden Moor Wind Farm, where a large array of turbines harness the power of the winds sweeping across the Pennine hills, generating "clean" electricity for the National Grid. 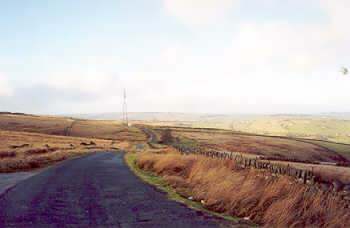 The gleaming white rotors of these modern-day windmills can be seen from vantage points many miles away, and are an important feature of the Bradford skyline.